Christ reassured the apostles that with faith they could move a mulberry tree in Luke 17:1-6. In the mulberry tree discussion, Christ outlined some responsibilities for his disciples. One was to never lead another person into sin. Christ told his disciples that it would be better for them to be thrown into the sea with a millstone tied around their neck than to cause another to sin. A second responsibility for a disciple was to rebuke a brother if he sins. The third responsibility was is to forgive a brother if he repents of sin and asks for forgiveness. Christians were to forgive a repentant brother even if the brother sinned and repented seven times a day. Seven times a day meant that repentance-forgiveness cycle was limitless. After hearing this teaching, Christ’s apostles must have felt overwhelmed with the extent of their responsibilities as followers of Christ. How could they live so blameless a life that they never caused another individual to sin? Did they have the courage to rebuke a fellow Christian when he or she sinned? How could they, simple men that they were, forgive and forgive and forgive? In desperation, the apostles cried out to Christ, “Increase our faith!” (Luke 17:5). Christ gave them a simple response – if you have faith the size of a mustard seed, you can tell a mulberry tree to be uprooted and transplanted into the sea. With sufficient faith, the mulberry tree will obey. The mulberry tree is the Morus nigra also known as the sycamine tree. The tree is indigenous to Persia (Iran). 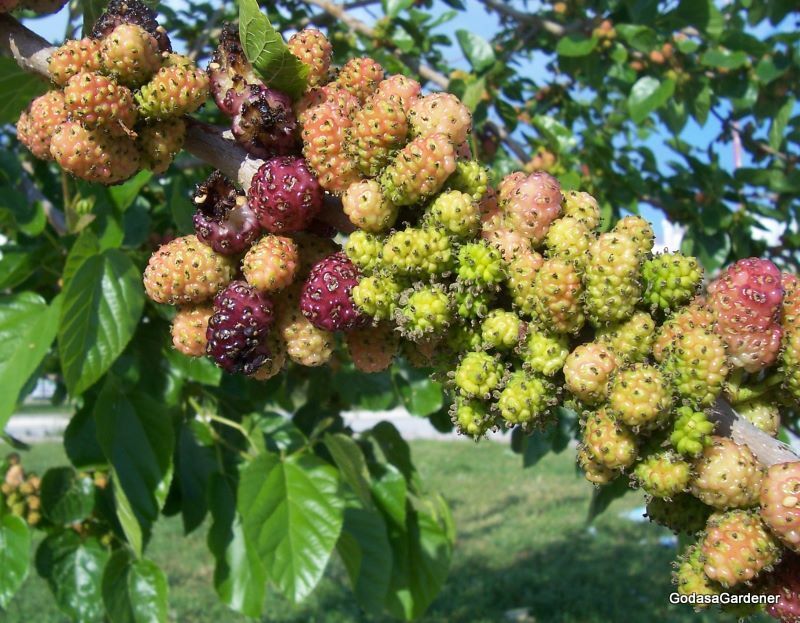 In Israel mulberry tree remains have been found from the late Iron Age. In modern Israel, mulberry trees grow wild and are domesticated from Mount Hermon in northern Israel to Eilat in the southern Negev Desert. During our stay at Kibbutz Lotan in the southern Negev Desert area in 2012, we saw a 25 foot tall mulberry tree which had been planted for its shade as well as its fruit. After pollination female flowers ripen into .4-1 inch blackberry-shaped edible fruits. Ultimately, the berry becomes succulent, fat, and full of juice. Mulberry berries vary in color with the M. nigra tree producing black mulberries. The genus name of the mulberry is Morus derived from the Latin word mora meaning “delay” because the mulberry tree is the last tree to bud in the spring (Grieve, 1971). Because the mulberry waits until all possibility of frost is past, the mulberry tree has been called the wisest of all trees. When his disciples asked Christ to increase their faith, his response was that they could and would accomplish great acts with a small amount of faith. Wisely, Christ did not tell them that they needed a large amount of faith. At that point in their walk with Christ, probably the disciples did not have unswerving faith in Christ; they were still getting to know him and coming to the realization that he was the promised Messiah. Christ met the disciples where they were in their awareness of him. Reflection. Name some ways you have grown in the intensity of your walk with Christ.